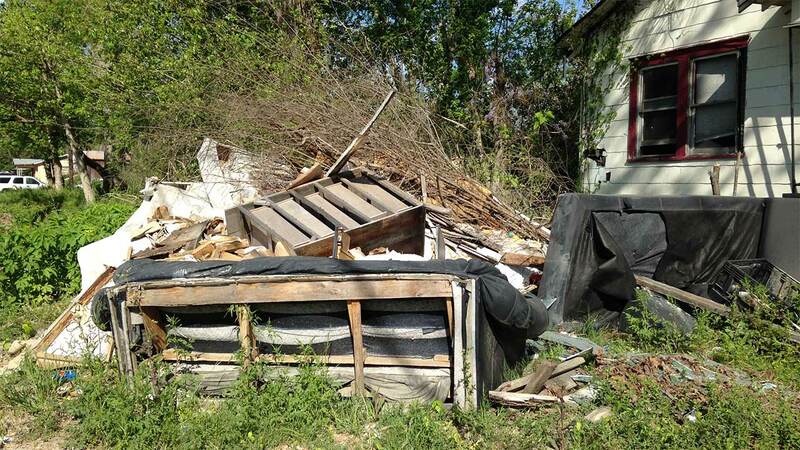 HOUSTON -- Harris County Commissioner Gene L. Locke will be joined by Houston Mayor Sylvester Turner to officially launch a program designed to remove debris and clean dozens of neglected and vacant lots in Houston neighborhoods throughout Precinct One. "At a time when resources are scarce, Precinct One and the City of Houston are jointly finding solutions to improve neighborhoods," Commissioner Locke said. "These nuisance properties are more than eyesores; they threaten residents' health and safety. Hardworking families deserve to live in an environment where they don't have to worry about illegal dumping, overgrown weeds and other dangerous conditions near their homes." In February, Commissioner Locke proposed the abatement initiative, or debris removal project, which will allow the use of approximately $750,000 in Precinct One general funds to remediate nuisance properties for public health and sanitation purposes throughout Precinct One. Precinct One will maintain the properties for several months, while looking for opportunities to partner with residents who may be asked to assist Precinct One with the location's upkeep and report new incidents of dumping or neglect by calling Commissioner Locke's office at 713-991-6881.